Group leaders DSK Shivajians FC will be up against Indian Navy in a unique first when they square off against the unbeaten defence side in the 128th Durand Cup at the Ambedkar Stadium, New Delhi, on Friday..
A victory for the Pune-based club will cement their position at the top of the table in Group A and significantly increase the chances of progressing to the semi-finals. Playing the tournament for the first time, DSK Shivajians has so far registered two wins out of two. They began their campaign with a 2-1 victory over Sporting Clube de Goa with first half goals from Rohit Kumar and new signing Kim Song Yong ensuring three points in what was a historic first win for the club. 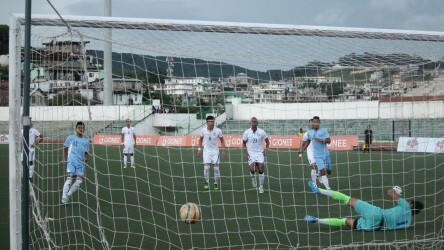 The Pune-based club won their second match against Gangtok Himalayan with a similar scoreline, only, this time, it was Rohit Kumar grabbing a first-half brace. On the other hand, Indian Navy, one of the four defence teams in the completion, has two points from their first two matches, having drawn both. They got their Durand Cup campaign underway with a 1-1 draw against Sporting Clube de Goa. Following that, they started their encounter brightly against Army Green, the other defence unit in Group-A, only for the latter to equalise in the second half, and hence, shared spoils. The two clubs will be no strangers to each other, having met each other in the Abhijeet Kadam Football Tournament at Bharatiya Vidyapeeth in Pune, where Indian Navy came out on top. However, a lot has changed at DSK Shivajians Football Club since then, with the club making the jump to I-League and is a much stronger unit that the Navy team would need to match. Rohit Kumar, who has scored three goals in the opening two matches of Durand Cup, will be hoping to carry on his fine form in front of the goal. On the other hand, Juan Quero is expected to take back the captain’s armband after being rested for the last match. Biaklian Paite is also scheduled to start the game after his impressive all-round showing in the last encounter. DSK Shivajians will be without Gagandeep Singh, who sustained an ankle injury in the first half of the match against Gangtok Himalayan SC. Adding up to the worries is the fact that two players, Vanlalremkima and Arif Shaikh have picked up a booking each in the last match. 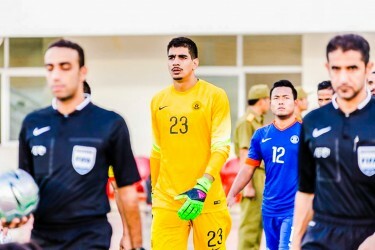 The match against Indian Navy will kick-off at 4:00 pm.